Do you remember the gorgeous Fisker Thunderbolt, the unique coupe created by stylist Henrik Fisker to see if there was a demand for a modified version of the Aston Martin Vanquish? When it was launched, we thought that while it was downright beautiful, it still looked very much like the car it was based on. It seems the manufacturer shared our opinion; Aston Martin just filed suit against Fisker for stealing their intellectual property. They think Fisker’s ‘’creation’’ looks too much like the base car fitted with some modifications. And since the Vanquish is already available with a modification programme, Aston Martin probably feels like Mr. Fisker is stealing some customers away from them. We are curious to see how things will pan out, but we don’t think that another Fisker Thunderbolt will roll out of the Galpin shop. 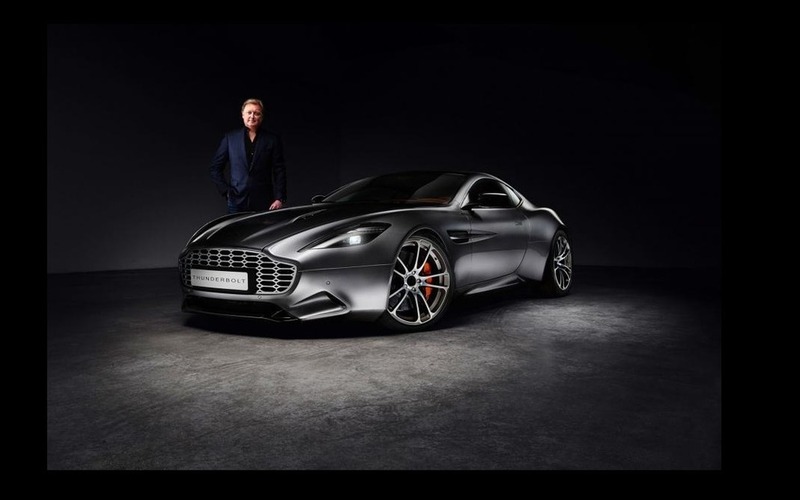 Aston Martin’s lawyers will probably force Mr. Fisker to abandon his project. The sleek-looking Aston Martin Vantage coupe might still be beautiful, but it's not exactly young; the model has been with us since 2005. To keep it relevant, the manufacturer has churned out a seemingly limitless number of special editions. The latest, dubbed the GT3, is probably the craziest to date.